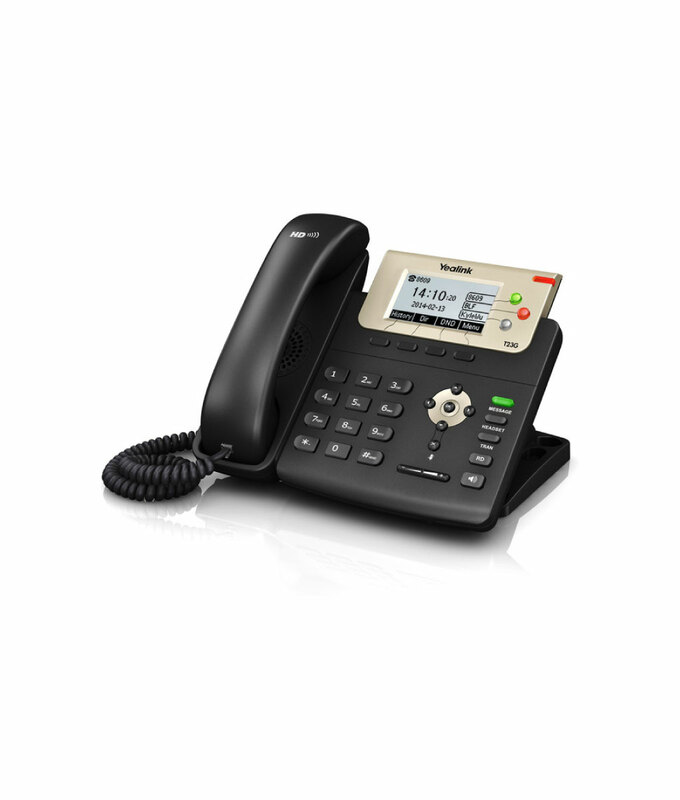 This is the ideal SIP desk phone for businesses looking for a cost-effective handset. It uses a hosted voice over IP call system and can host up to 3 VoIP accounts. It's compatible with the majority of IP PBX manufacturers & software-based IP PBX providers. 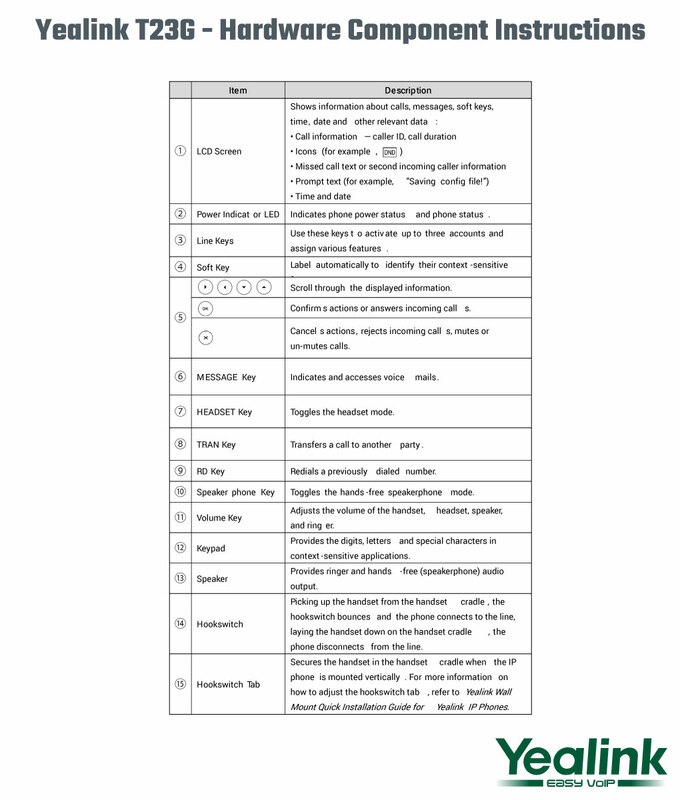 It features an intuitive user interface and enhanced functionality. This product is supplied with an Ethernet cable. It can be powered in two ways: either via a PoE (power over the Ethernet) switch or an optional power supply unit (PSU). Don’t forget to select your choice when ordering. The Yealink T23G is a good value for money handset with Optima HD Voice technology. It’s easy to use and has an intuitive LCD screen. This supports dual-colour (red or green) illuminated LEDs for line status information. This phone is ideal for those working in small and large office environments requiring Gigabit Ethernet and access to a variety of enhanced features. One of the major strengths of the Yealink T23G is its simplistic operation. It’s exquisitely designed to provide business telephony features, such as call hold, call transfer, busy lamp field, multicast paging and conference over an IP network. The Yealink T23G is compatible with the majority of IP PBX manufacturers as well as software-based IP PBX providers. 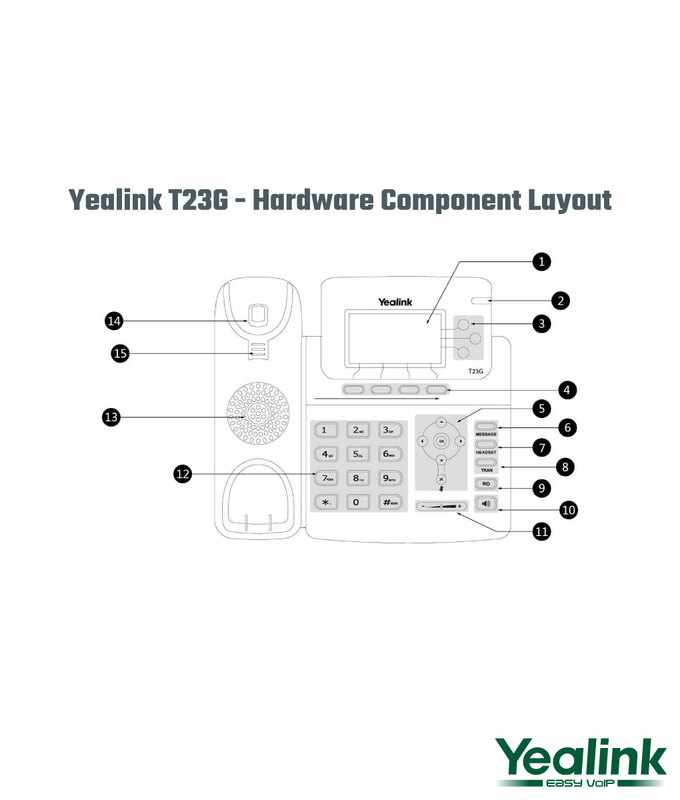 The Yealink T23G is available with a choice of two power supplies. The power supply unit (PSU) version comes with a power adaptor that can be plugged straight into a standard wall socket. The power over Ethernet (PoE) version of the handset can receive power along its network cable, meaning that it doesn’t require a separate power cable. We’re always on hand to help. Get in touch and we’ll be happy to match you up with the tech equipment that meets your needs.